Yaumatei is one of those Kowloon back corners that many long-term Hong Kong residents often overlook – or dismiss. 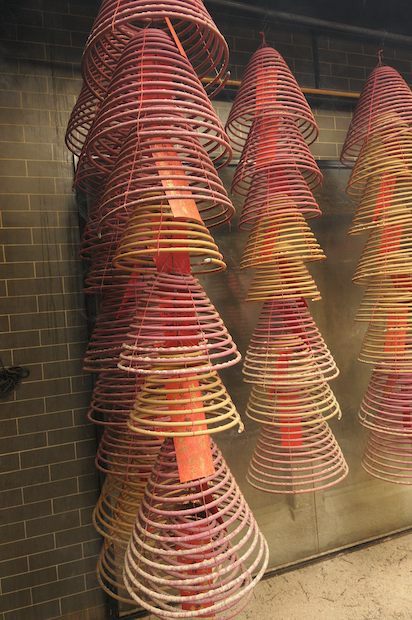 Yaumatei is home to the famous Tin Hau Temple – sometimes referred to as the “Temple of Temple Street.” This historic structure dates - with numerous reconstructions - from the 1820s. Along with the banyan-tree shaded square in front, the Tin Hau Temple has been a key focus of Yaumatei community life for decades. Along the way we will see the historic Yaumatei police station. Shanghai Street and Reclamation Streets are vital adjuncts to the local restaurant trade; every possible variety of cooking pot, wok, cleaver and kitchen utensil can be found here – at very reasonable prices. Nearby, the Yaumatei Theatre, the oldest cinema in Kowloon, has been spared from demolition and is being renovated for other uses. Locally-famous for decades, Yaumatei’s gwo-laan, where most of Hong Kong’s fresh fruit is traded, is an essential part of life and not to be missed. While the gwo-laan is at its bustling, noisy best in the small hours, there is still much of interest to be seen by mid-morning. Surviving old buildings nearby provide a home to vanishing occupations and businesses – legal, tolerated and otherwise - will all be explored along the way north through Kowloon.